In the ever-present political debates, aliens have been a very popular subject .We all know what Donald Trump has to say about them and how he believes a great wall can be built to keep them out. This has created a loud clamor across the nation as the arguments over immigrants and illegal’s entering in the country has become a major issue with regard to national security. In an ironic twist of word play, you may not even know that another “alien” has crept into the political conversation, and UFO enthusiasts and alien believers are now questioning whether or not 2016 will finally be the year of disclosure about extra-terrestrials. The massive code of silence that has been kept among politicians, scientists and media about disclosure of the phenomenon and the ridicule of witnesses, reflect in part, the ways in which dominant political/economic groups enforce their collective will. And to a great extent, they have succeeded in keeping a partial lid on the situation. However, a recent discussion about UFO’s, Area 51, and aliens has made the mainstream because the person who spoke up about the possibility of disclosure is Democratic Presidential candidate, Hillary Rodham Clinton. Hillary Clinton said it is possible that aliens have visited the Earth, and she would investigate Area 51, if elected. Clinton made the comments at a campaign stop in New Hampshire last week, in which she told Daymond Steer of the Conway Daily Sun that she wouldn’t rule out the possibility aliens could have already visited. “We don’t know for sure,” Clinton said. She added that her campaign chairman, John Podesta, has encouraged her to look into Area 51, the top secret military base in Nevada, which is the subject of a host of alien-visitation theories. The Huffington Post clarified in an article that Steer has since said he felt the conversation was more light-hearted than serious in nature. Other headlines claim that Hillary was joking when she made her comments —doing some damage control in hopes voters don’t think she is any crazier than the Republican voters think. The question of whether or not Hillary Clinton is a believer and whether or not she was serious has been injected into the media account because many editors of newspapers and of news services have a hard time even admitting that our leaders may have an interest in revealing the truth about whether or not we are alone. 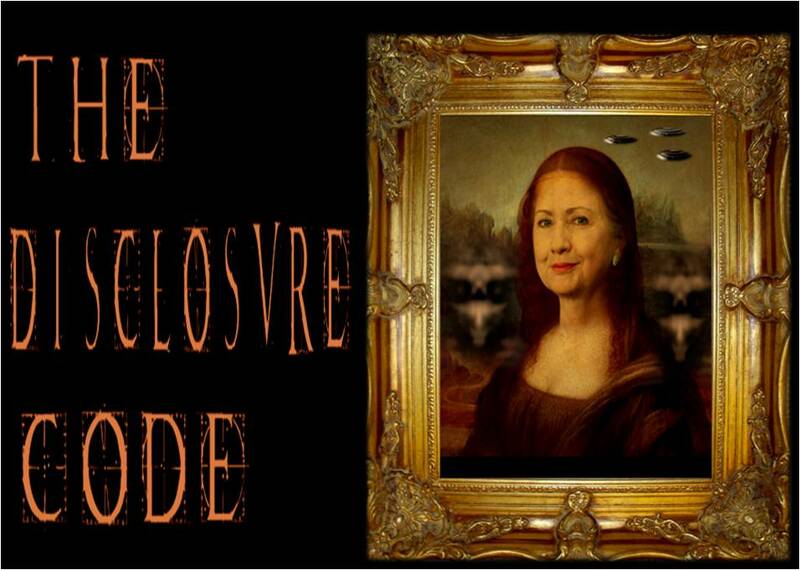 Did Hillary Clinton unwittingly break the disclosure code of silence with regard to the truth about aliens and UFO’s? The answer may surprise you and you may decide that even though the media is saying she was pressing her tongue firmly in her cheek, Hillary Clinton seriously has an interest in disclosing what has been considered taboo with the disclosure of UFO activity. In 1995, Hillary Clinton paid a visit to Lawrence Rockefeller’s JY Ranch located in the Grand Teton National Park in Wyoming. This visit coincidentally happened when the philanthropist and billionaire was actively involved in bringing the issues of UFO’s and alien disclosure to the White House. What makes this trip by Clinton so intriguing is that when she was at his ranch, it is not beyond reasonable to assume that she discussed the UFO issue with Rockefeller. He along with attorney, Henry Diamond met with Whitehouse Science Advisor, John Gibbons in 1993 to lobby the government for the release of secret UFO files. Back in 2006, through Freedom of Information Act inquiries, 1,000 pages of UFO documents had been released by the office of the Science Advisor to the President in the Clinton White House —these documents were part of the Rockefeller UFO Initiative. In many of the documents provided, the former first lady, Hillary Clinton, is mentioned discussing UFO’s and the reality of extra-terrestrials with Rockefeller and his staff. It is also mentioned that Hillary Clinton and her staff actually put together a letter and sent it to President Clinton asking him to prepare the United States for disclosure. Also released were color photos of Hillary Clinton and Lawrence Rockefeller walking through a wooded area of the JY ranch. Hillary is seen holding a book close to her chest, being careful not to reveal the title of what she was reading. It was revealed later that the book was “Are We Alone: Philosophical implications of the discovery of extra-terrestrial life” by the renowned physicist, cosmologist, astrobiologist and best-selling author, Dr. Paul Davies. Davies chairs the SETI Post-Detection Task Group and was appointed co-director of the Arizona State University Cosmology Initiative in 2009. In November 2009, Davies was one of the main speakers at the Vatican’s Pontifical Academy of Sciences study week on Astrobiology. His speech received a lot of attention and received media coverage around the world. Davies was quoted in the Washington post about the theory of second Genesis or what science considers a “Black Box” theory. The idea of second genesis, ancient aliens and the possibility of their intervention in human creation is a “black box’ topic. A “black box” is a scientific term for systems that have inner workings that are so complex they are unknown or unexplainable. While the human form has been studied and its parts have been explained with anatomical facts and genetic sequencing, the human cell is complex and to Darwin and his colleagues, it was a “black box” because every living cell has infinite super-sophisticated molecular machines. Astrobiological and exobiological explanations have blanketed the mainstream lately giving us hints and clues that the probability of life everywhere in the universe is highly likely. There are still the rigid scientists that want some of this speculation to go away. However, that doesn’t stop the perplexing evidence or possible markers that may indicate that something that does not necessarily fit the norm just shows up out of nowhere. The secret political and scientific movements towards disclosure were a hot topic on the Capitol Beltway, with Hillary Clinton’s knowledge of the subject and a report that Ohio Congressman Dennis Kucinich saw a UFO in Washington state at the home of actress, Shirley MacLaine. Hillary Clinton sported a sheepish grin, and did not volunteer the information about the Rockefeller meeting or what her husband President Bill Clinton knew about UFO’s and aliens. Back during Bill Clinton’s second term in the late 90’s, there was a rumor amongst conspiracy theorists that when Clinton came back to the White House, he requested a cigar and then asked for all of the files about Roswell. The rumor was that Clinton wanted to finally disclose the truth about what really happened. The rumor got a little airtime on late night talk shows because many people remembered what Ronald Reagan had to say about UFO’s and whether or not the time for disclosure was about to happen. When Bill Clinton appeared on the Jimmy Kimmel Show in 2014, he opened up about the possibility of extra-terrestrials and the disclosure that we are not alone. You may recall that in the program, before a live audience, Kimmel announced he would be asking about UFOs after a break. After all of these years, Bill Clinton admitted on national television that he did request documents about Area 51 and Roswell and told Kimmel that – at the time – he was willing to tell the American people about the truth. He really did not go into too much detail as to why he was curious, only to say that – in 1997 – the 50th anniversary of the Roswell crash was about to be observed and he knew that there would be tons of letters being sent to him about the event. He then proceeded to tell Kimmel some of his thought about how the world would united if there was the revelation of aliens. Some of his views paraphrased a lot of what President Reagan had said about aliens. While Clinton concluded he found no evidence they exist, he said, “If we were visited someday, I wouldn’t be surprised.” As he said it, he demonstrated a significant amount for apprehension and uncomfortable body language about the revelation. From Area 51 to Roswell, Clinton claimed he had an interest in the subject and that during his second term, he demanded answers about the subject matter. He even claimed the Area 51 personnel were required to wear special uniforms and take part in special procedures. This had never been claimed by anyone before. President Barack Obama was also asked by Kimmel in March 2015 to share any information government officials might secretly have on aliens, though he kept to joke answers. His body language and his demeanor seemed a bit uncomfortable when he was asked the question about the disclosure of aliens in space. We all know the ramifications of disclosure are monumental. The fact that many of our politicians are acknowledging it and even making jokes about the topic oddly enough, gives us a reason to think that perhaps the subject has been talked about in meetings at the White House. The laughter and the discomfort of disclosing the topic by our President, Bill Clinton and Hillary Clinton, could very well be a symptom of the importance of secrecy and issues surrounding the UFO phenomenon. It appears that in order to treat the symptoms of secrecy, laughter is the best medicine.